The road leading up to the 4,00,000-sq-ft store at HITEC City in Cyberabad was also jam-packed and additional traffic police were deployed. 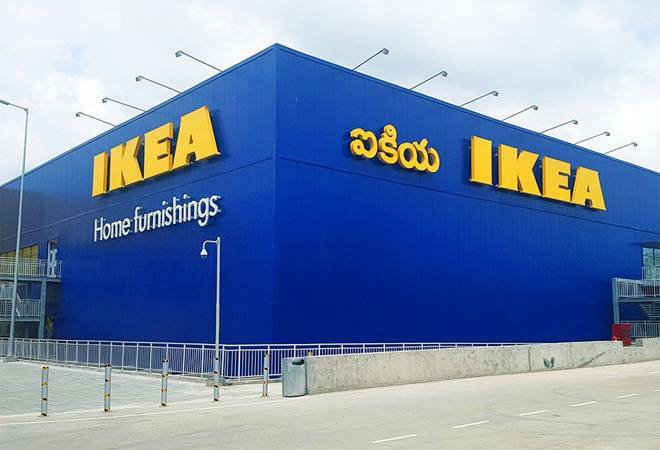 The Swedish home furnishing retailer IKEA's first day in the country was worthy of its preparation to launch its first store in India. As the store opened on August 9, a staggering 40,000 customers visited IKEA's Hyderabad store. The crowd started pouring in a little after the launch at 11 am. IKEA staff was initially struggling to manage the entry point. A video of the same has gone viral on social media. The road leading up to the 4,00,000-sq-ft store at HITEC City in Cyberabad was also jam-packed. The Cyberabad Police Commissioner deployed additional officials to ensure smooth movement of traffic near the store to avoid chaos. IKEA said that they were excited at the first day response. The store saw a massive sale of mattresses, followed by the children's section. Cooking section, along with decoration, bed, bath, textiles, bedroom furniture also saw a massive response. IKEA's 1,000-seater restaurant was also crowded. The Swedish meatballs on offer were one of the most relished items while, the dum biryani too was selling out fast. "The IKEA restaurant will offer 50% Swedish specialties like and 50% local delicacies like Hyderabadi biryani and samosas which has cheapest Rs 10 pricing. Store also has a kids' play area named Smaland where customers can leave their children safely while experiencing the shopping," said an IKEA spokesperson. The Swedish giant eventually came to India after the government's nod to 100% FDI approval for a single brand retailer in India. The company now plans to open 25 outlets by 2025. The next store is going to open in Navi Mumbai in 2019. IKEA has also acquired land in Karnataka and Delhi-NCR and is planning to expand their footprint in those cities too. IKEA has been sourcing material from India for its global stores for more than 30 years. There are currently 403 IKEA stores in 49 countries with a sales volume of 38.3 billion euro. In FY17 alone 936 million customers visited IKEA stores and 2.3 billion people visited IKEA online. IKEA Hyderabad offers around 7,500 home furnishing products. It remains operational from 10:00 am to 11:00 pm. We may be the first country to buy stuff from Ikea and get it assembled at home by a carpenter. All the traffic jam and near-stampede at the IKEA could've been avoided if they had announced that buyers have to assemble the furniture themselves using a manual. Who called it IKEA and not Swedish House Mafia? New places that Hyderabad folks made a beeline to in the past. Lumbini Park / Buddha Statue. NTR Gardens / Prasadz IMAX.